Alviti Link All, Inc. in Johnston, RI is a linking machine manufacturer. 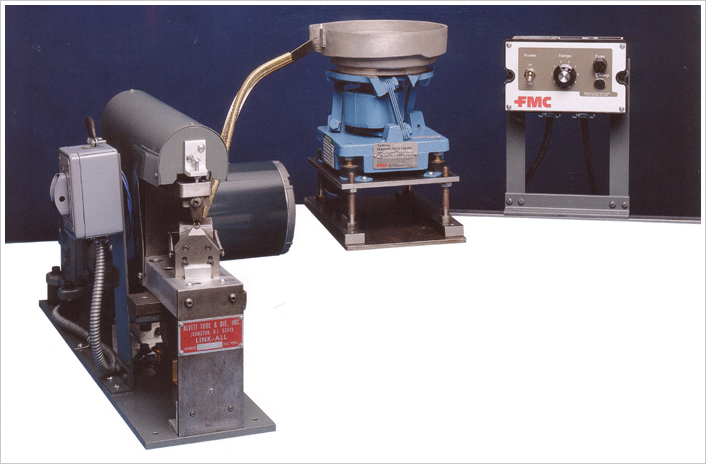 Are you an award or jewelry manufacturer in need of high-quality linking equipment? Look no further than Alviti Link-All, Inc. in Johnston, RI. We manufacture and sell semi-automatic linking machines that are capable of producing up to 1,200 links per hour. We also supply jump rings of various sizes to industrial clients. view our video to get a clear idea of how our machines work. Let us know your linking machine requirements. Weâll offer you the most suitable machine to fulfill your needs. Call us now. Copyright © 2013 Alviti Link-All, Inc. All rights reserved.